Guys, it has been a rough few weeks over here. I feel like we have been going non-stop since the holidays, and I can't see an end in sight. We have a ton of guests coming to visit over the next few weeks, and I am SO behind on my content calendar. I have been trying to read a little bit every day, even if it is just for a few minutes, or listen to an audio book when I'm cleaning. This helps me decompress and relax when I get home from work. I'm not doing as much listening to audio books on my commute and recently switched my Audible membership for a Kindle Unlimited subscription. 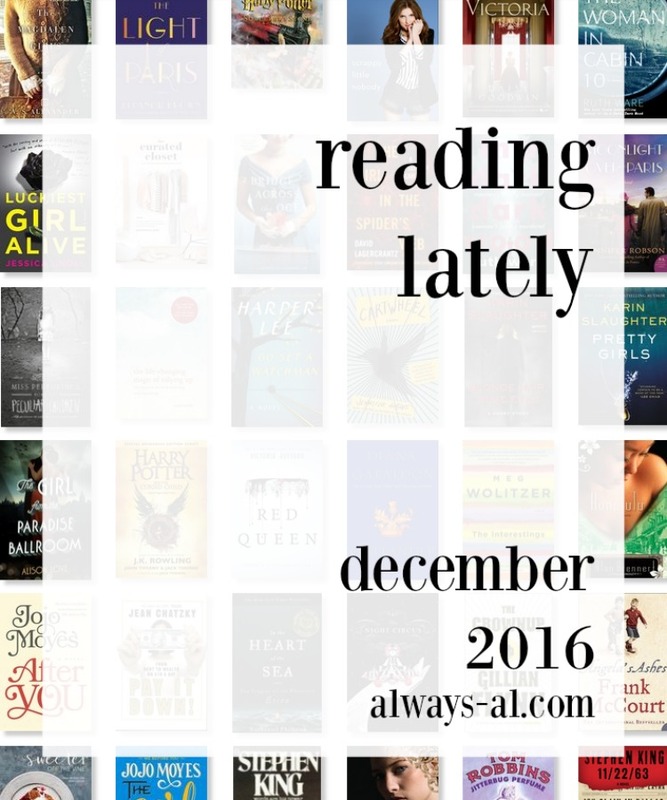 Even though we are halfway through January, I thought it would be fun to see what I read in December, as well as to share some of my reading goals for 2017. Book club read this for December, which honestly is kind of a weird choice for a book club. I really like Anna Kendrick, and it was interesting to get a look at her inner monologue. Looking at her life in the theatre, on the big screen, and in relationships was really fun. This is very stereotypical (and pretty basic), but I feel like we would be friends IRL. My parents sent this to me for my birthday---but it was the illustrated version! I loved looking at the beautiful pictures as I read such a familiar story. Now I want the whole series in illustrated version! This is the book club book for January, and was SO my speed. I enjoyed Margie's story MUCH more than Madeleine's, but it was sort of interesting. This could totally be a movie. There were some times when I thought each woman just needed to buck up and ask for what she wants. But as always, it isn't that easy. I would have loved to learn more about Margie's storyline. What an interesting topic. A while ago I watched part of a movie about the Magdalen Laundries on Netflix, so when I saw this title on NetGalley, I had to have it. This is based on TRUE EVENTS guys. I just can't even believe what these women endured while living in these convents. This particular story is so dramatic, and I really felt for the girls. 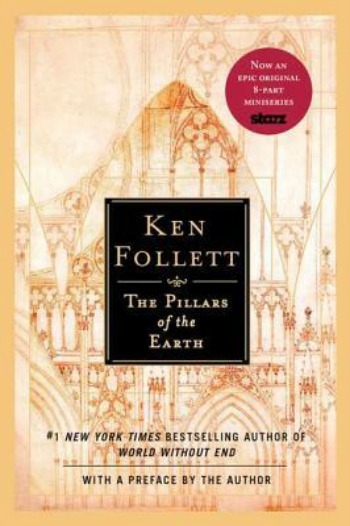 Annnnnnnnnd I'm still working on The Pillars of the Earth by Ken Follett. There have been so many books that I've had to read on a deadline, that this one has kind of taken a back seat. My friend who lent it to me is coming to visit in a few weeks, though, so I need to do work! Does anyone have suggestions for working through something really long like this? So now for my reading goals for 2017. I CRUSHED my goal of 40 books in 2016 by reading 50 books. I am starting my grad degree this year, so even though I wanted to increase my goal, I didn't want to be TOO ambitious. This year I want to read 45 books, which is almost a book a week. Seeing as how I am reading multiple things at once, and am giving myself the grace to put something down if I don't like it, I'd say this is totally doable. Join me on Goodreads to follow my progress!